LeanSentry v2 is here, Gangnam style! LeanSentry v2 is finally here, bringing you 10x the diagnostic power to monitor and troubleshoot your IIS/ASP.NET web apps! These things constantly drain hours of time when running production apps. LeanSentry uses extremely lightweight monitoring to provide the kind of monitoring insights typically available only with serious tools like logparser, debuggers, and profilers. Unlike those tools, LeanSentry is designed specifically to show you the key things an IIS expert will want to see, and hide the rest of the noise. And, its designed to do it with 24/7 continuous production monitoring that does not impact your application performance. 1) 2 minute setup for your datacenter, Amazon EC2, or Windows Azure cloud! Its really, REALLY simple to set up your app for monitoring. We’ll walk you though the exact steps in less than 2 minutes! If you use Windows Azure, you can use our awesome Nuget package to add LeanSentry with a single command. 2) Everything you wanted to know about application performance! See all key performance metrics in one place, and instantly spot any slow requests even if averages are ok.
See exactly which IIS modules, SQL queries, and remote web services slow down your app. See app’s CPU and memory usage over time, and even which application function consumed the CPU! Drill into an error to see the gory details – exception stack traces, IIS error information, how the error changes over time, and even likely solutions from LeanSentry’s own knowledge base and communities like stackoverflow.com. 4) Complete transaction traces for every slow request, every error, and every slow operation! 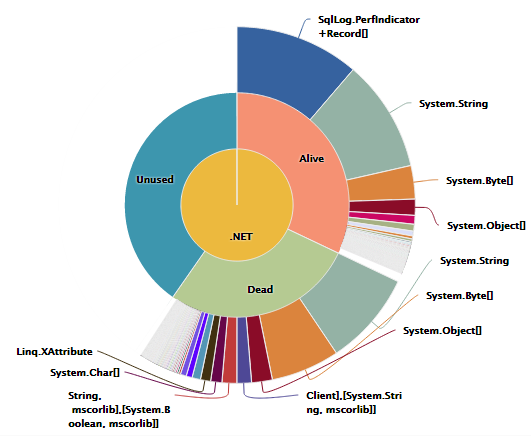 Dive into complete request traces to see the IIS/ASP.NET processing details, errors, and slow operations! 5) Alerts and Causes: automatically detect problems and find root causes so you don’t have to! We’ll notify you of any application or server problem, and help you assess how the problem presents over time and across all your servers. Skip the time-intensive investigation – LeanSentry automatically uses all available information to diagnose the root cause of the problem … so you can get straight to fixing it! Last but not least, we are temporarily extending our introductory pricing until we hit our user targets: all features for 24.99/server/mo. We need you to try us out and help us fine tune the new features. Pricing is limited – once we reach our user target, we are expecting the prices to go up to reflect the LeanSentry’s true value in the market. Check out our live demo, and sign up for your trial account today! If you got questions, chat with us on https://www.leansentry.com. Previous Previous post: Deploy LeanSentry to your Azure application in seconds with our Nuget package! Next Next post: Our new site is live, come check us out!